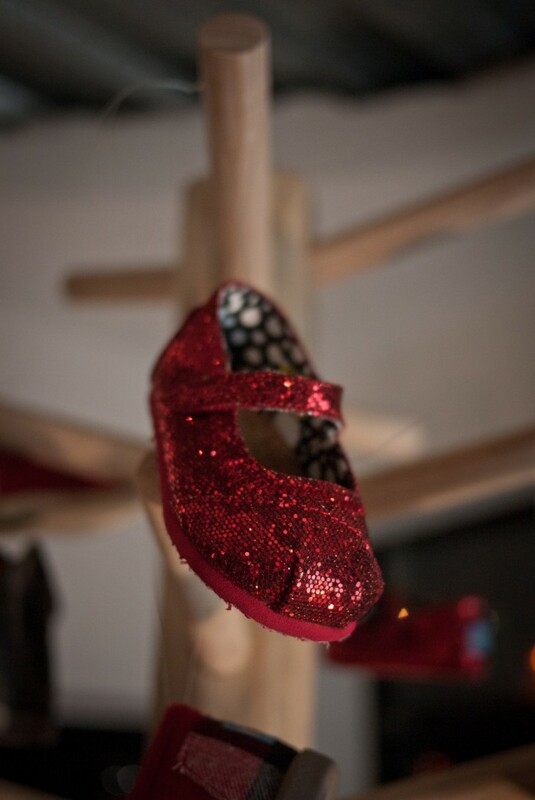 ﻿ Toms GIVE Shop | not tom. 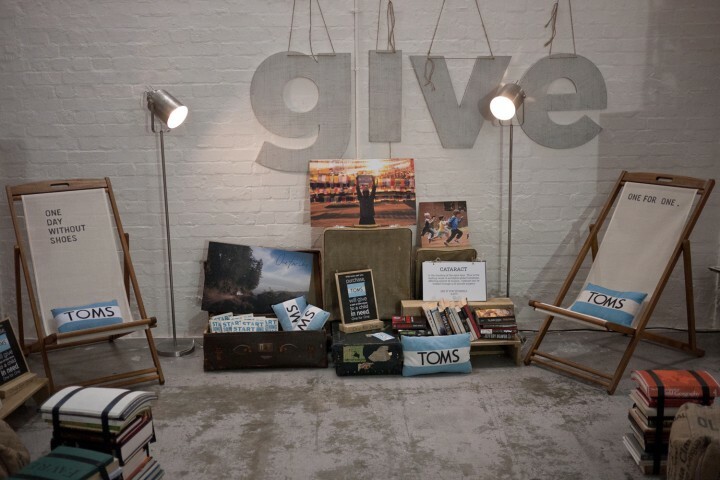 Ethical footwear brand Toms set up a three day Christmas ‘GIVE shop’ in London’s Truman Brewery, and we were brought in, to design and deliver some bespoke pieces as well as direct the overall look and feel of the event. 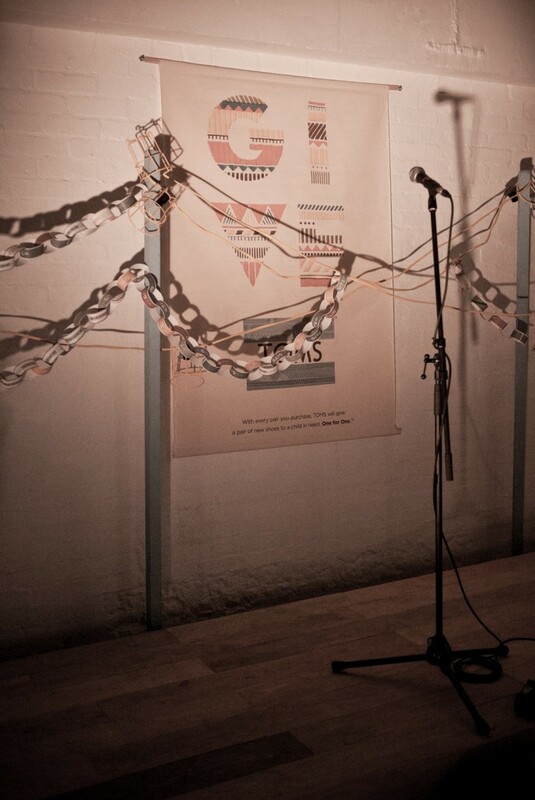 It was another great Protein organised event with live music, a shop organised and run by Jaguar Shoes Collective, Joe’s Tea serving up their finest brews from the soon-to-be-famous ‘Tea Shed’ and of course Toms organised an array of craft workshops for people to get messy making Christmas gifts. 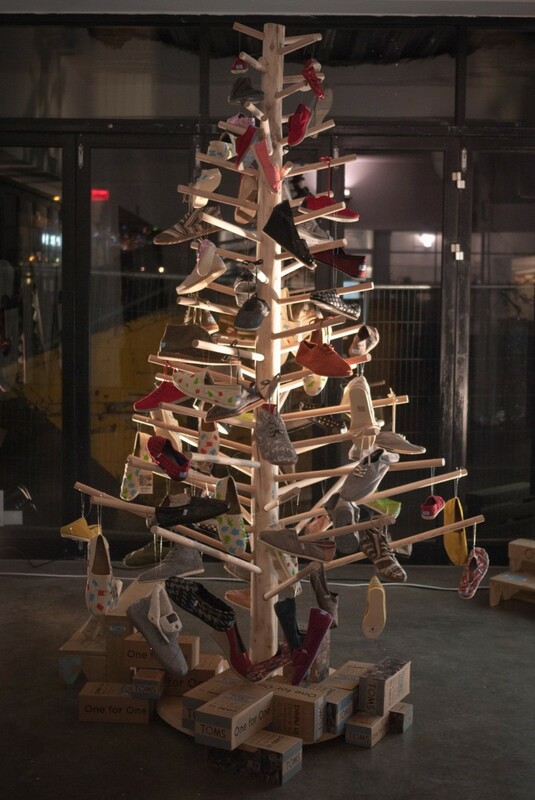 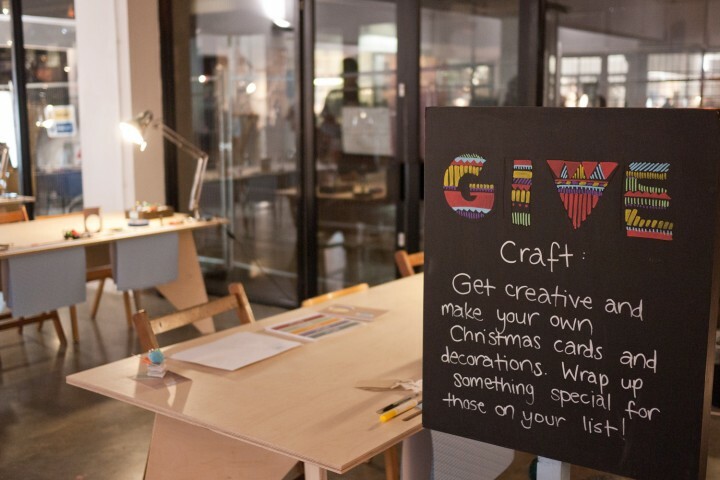 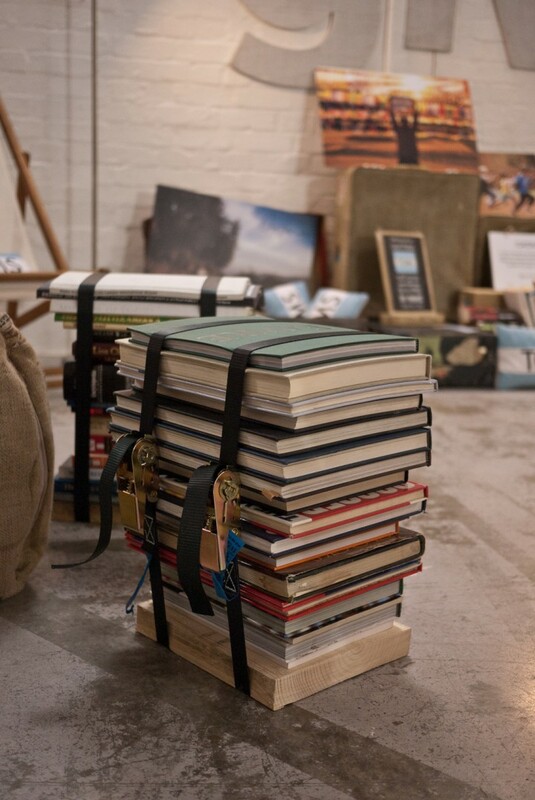 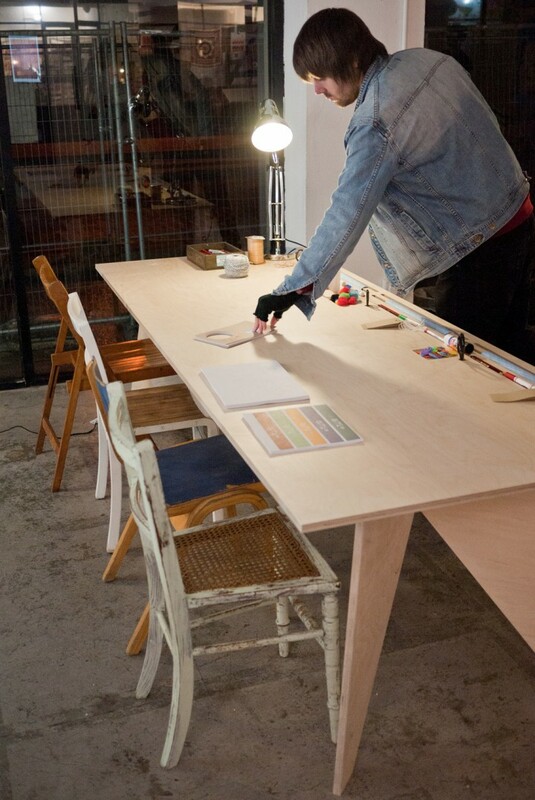 We laid on bespoke craft benches, with mis-matched retro chairs, staging and backdrops for the whole room, some seats made from ratchet-strapped books for the reading-zone, a G.I.V.E window sign made from shoes and the centre-piece… a wooden christmas tree decorated with the all manner of shiny shoes!